Servicing Portland, Beaverton, Lake Oswego, and other surrounding areas, we offer a wide range of interior and exterior painting services including custom interior & exterior painting, trim and woodwork painting, custom cabinet finishing and glazing, color consulting, and stain and lacquer finishing. We offer low or no VOC paint options to ensure safety for your family, the environment as well as our valuable team. At Sisu Painting Inc., careful attention to detail and impeccable execution sets us apart from our competitors. Our final process involves clean-up and inspection, followed by any necessary touch-ups. We’ll leave you with clearly labeled paint cans which can be stored for later use and future reference. 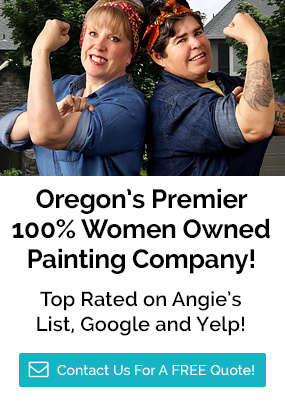 We are Oregon’s Premier Women-Owned Painting Business, and a Lead-Safe Certified Firm. At Sisu Painting Inc., we stake our reputation on every job, large or small. Every step of our painting process is designed to protect your environment – inside and out – and to create extraordinary results! At Sisu Painting, Inc. quality workmanship is delivered by properly trained and highly skilled painters, premium quality products and the use of proper application processes. Our workmanship is backed by a written warranty presented with the bid, which typically extends for three years, depending upon product selection.